Resource > DRM > How to Convert iTunes M4V to AVI? Summary: iTunes M4V files are protected by FairPlay DRM, so you cannot convert them into other formats and watch them on non-Apple devices. This article will tell you the differences between M4V and AVI, show you how to remove DRM from iTunes m4V files and present you how to convert M4V to AVI. M4V file format is a video format developed by Apple to encode videos on iTunes Store. These M4V files including iTunes movies, TV shows, and music videos are all protected by FairPlay DRM so that they can only be watched on authorized computer, iPhone, iPad and iPod. The DRM protection also prevents them from being converted to other video formats. AVI, short for Audio Video Interleaved, is a multimedia container format developed by Microsoft in 1992 to store both audio and video data in a single file. AVI is a commonly used file format nowadays. It is a typically less compressed format, which means that an AVI file is larger than the same file in those more compressed formats like MOV, MPEG and more. Sometimes you may want to watch your iTunes M4V file on a device that cannot be connected to your Apple account, and the device happens to only support AVI, and then what you should do is to convert the M4V file to AVI. But to convert M4V to AVI, you have to remove the DRM protection from the m4V file first. How to Remove DRM from M4V File? DVDFab DRM Removal for Apple is an excellent DRM removal tool that can remove DRM from rented or purchased iTunes videos easily and quickly. In addition, it also can remove the DRM from Apple Music and iTunes audiobooks. It outputs MP4 video and M4A audio files. You can try DVDFab DRM Removal for Apple freely for 30-day, during which period you can convert 1 iTunes video and 5 audiobooks or Apple songs without spending one penny. Click the download link to download the DRM removal. Before using DVDFab DRM Removal for Apple, you need to allow iTunes to “share iTunes library XML with other applications”. Please run iTunes, navigate to Edit > Preferences > Advanced, and check the box before “Share iTunes Library XML with other applications”.Moreover, you have to make sure your iTunes is logged in. Run DVDFab 10, go to Utilities module, and click DRM Removal for Apple. There will be two options for you, and you should choose “For Video”. You can click “Add from Windows” to add the files from This PC > Music > iTunes > iTunes Media > Movies (the default folder location of iTunes), or click “Add from iTunes” to add the videos from your iTunes directly. Click the “folder” icon to select an output directory to save the output video. Click the “Start” button to start the process of removing DRM. How to Convert MP4 to AVI? The video outputted by DRM Removal for Apple is in MP4 format, which is supported by nearly all multi-media players. But if you want to convert it to AVI for a certain device, you can use DVDFab Video Converter. 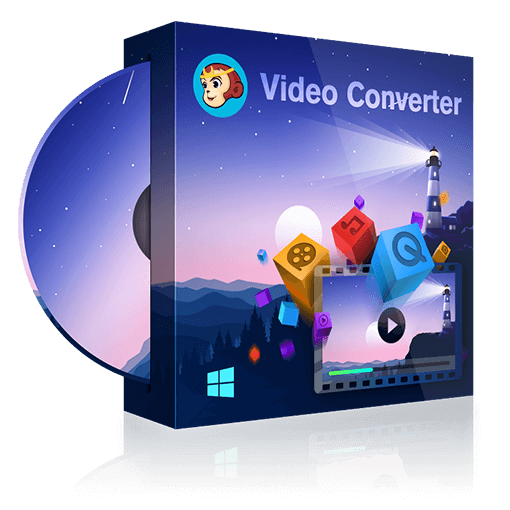 DVDFab Video Converter is a powerful and professional video converter that can convert any video to various formats which are supported by various devices and video players. With the employment to the newest technologies, DVDFab Video Converter can output high-quality video at fast speed. Moreover, it contains many advance features to allow users to customize the output video in their own way. Now let’s have a look at the conversion process. Run DVDFab 10, go to Converter module, and load the video source. Navigate to the profile library on the top left corner of the main interface and choose the AVI profile. Now you can change the name of the video, choose the audio and subtitles you want, edit the video and customize your settings. Click the “folder” icon at the bottom of the main interface to select a directory to save the output video. Click the “Start” button to begin the process of converting MP4 to AVI. Just as shown above, you can remove DRM from iTunes videos easily with DVDFab DRM Removal for Apple, and you can get AVI video effortlessly with DVDFab Video Converter. Just feel free to try these two programs, and you will find that the two are exactly what you want. There are tons of DRM removal tool in the market that can bypass FairPlay DRM on iTunes files, we here list top 6 best iTunes DRM removers and converters to help you make a choice. Here we give you an introduction to DRM protection and reveals you how to remove DRM from the DRM protected iTunes videos and Apple Music.